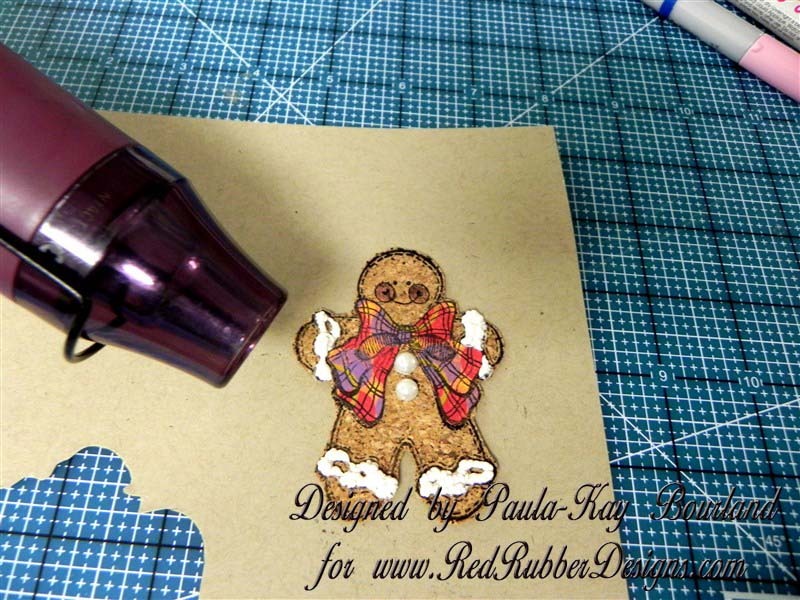 This is Paula-Kay with a tutorial to show you how to make a Christmas pin using cork paper and stamps. I’ve used Red Rubber Designs Ginger Joy for the stamp. 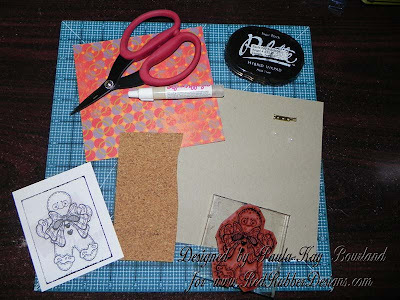 You will need some supplies to begin: Palette Noir ink pad, patterned cardstock (I’ve used Cha Cha patterned cardstock), a piece of Cork paper, a piece of Kraft cardstock, Ginger Joy stamp, white Liquid Applique, scissors, two pearl accents, a pin back. 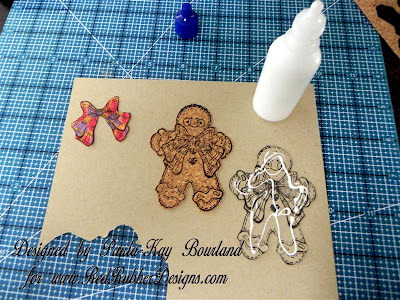 Step 1: Stamp Ginger Joy on the piece of cork, and also on the piece of Kraft cardstock, and the neck bow on the Cha Cha patterned cardstock. 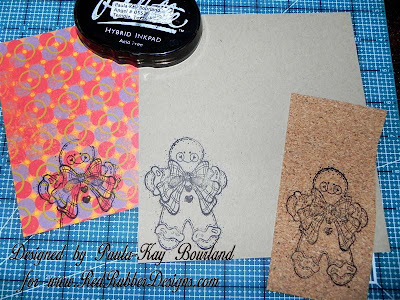 Note: Stamping on Cork paper is just like stamping on cardstock. 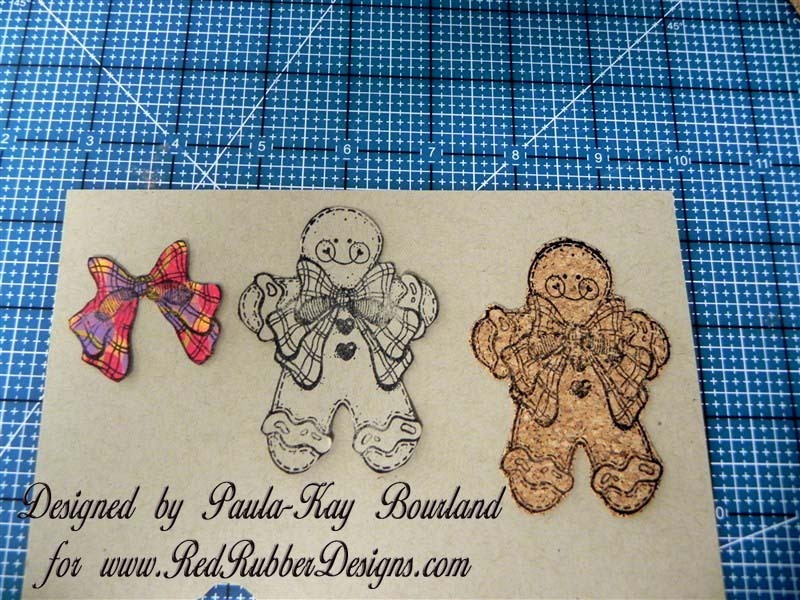 You can color it and cut it, mount it on background cardstock. 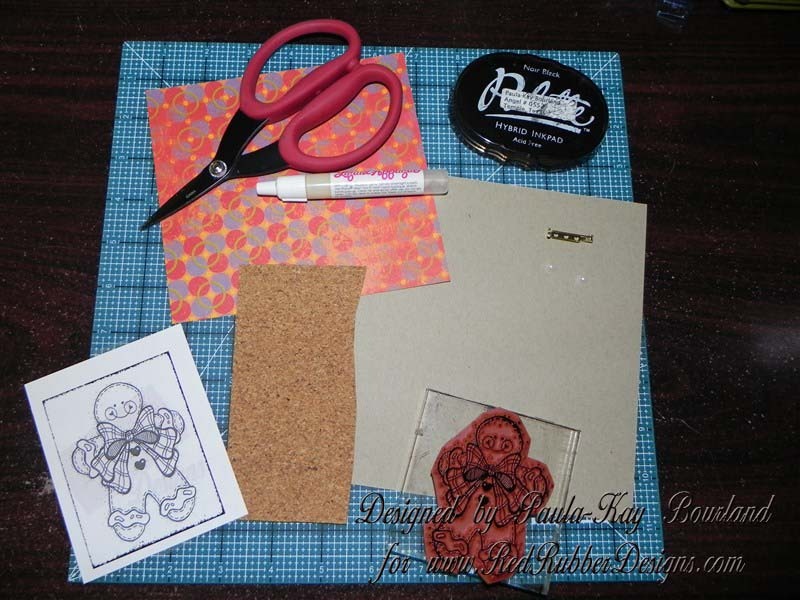 Step 2: Cut out the image stamped on the cork and the Kraft cardstock. 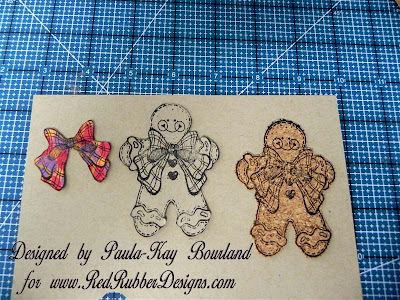 Cut out the bow stamped on the patterned cardstock. 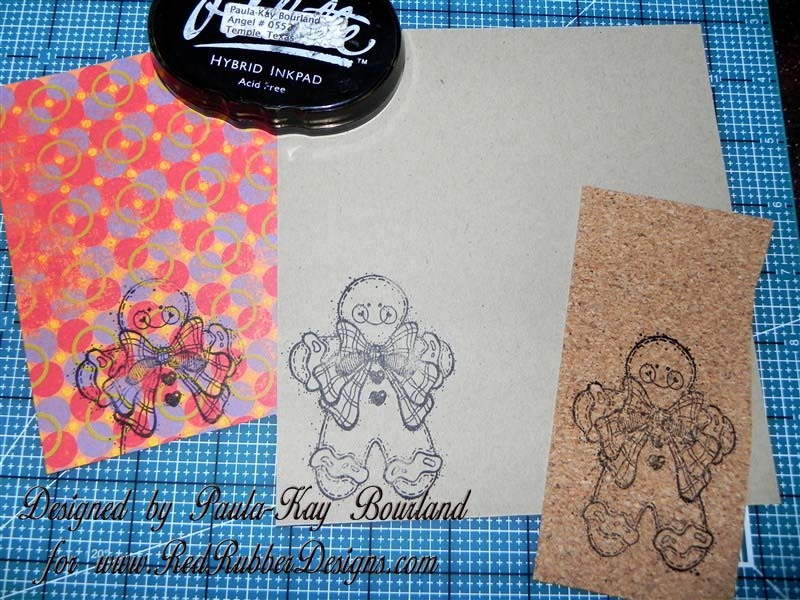 Step 3: Glue the cork image to the Kraft image (which will be the backing). Then glue the bow in place on top the cork image. Step 4: Next add a little pink to the cheeks with a marker (I used a Copic marker) and glue two pearls (or buttons or jewels) on the front. Step 5: Add white Liquid Applique to the icing on the image. Step 6: Heat set the Liquid Applique with a heat gun until it puffs up. (Don’t overheat or it will burn). 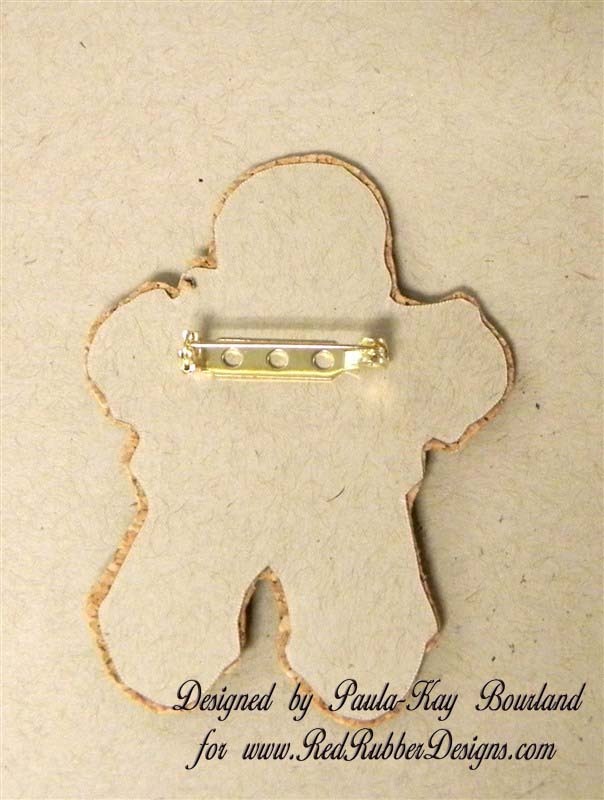 Step 7: Turn Ginger Joy to back side and glue the pin back in place using strong glue (E6000 works great). 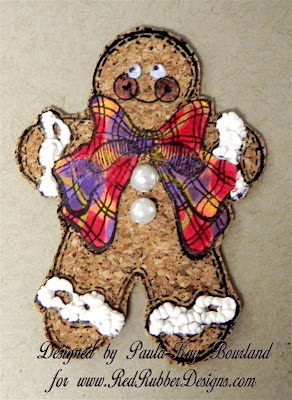 Step 8: As a last minute thought, I decided to add some small google eyes to Ginger Joy. 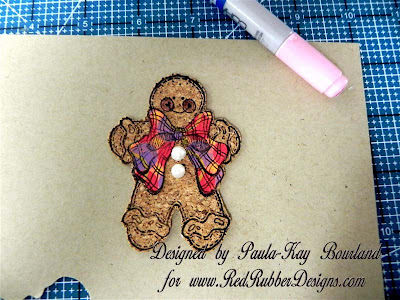 And now your Ginger Joy pin is finished. 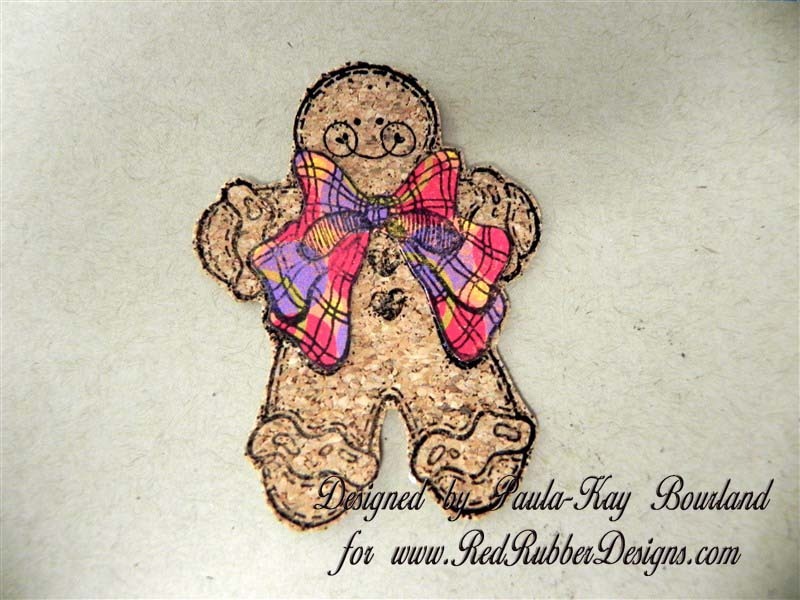 What a fun little project to wear during the winter and Christmas season or to give as a gift. 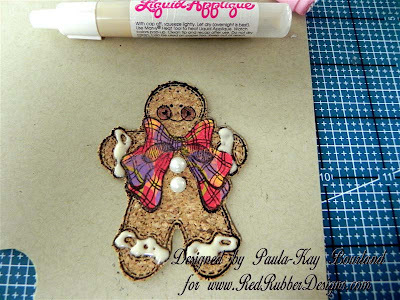 You can download a FREE PDF version of this tutorial in the Red Rubber Designs store! 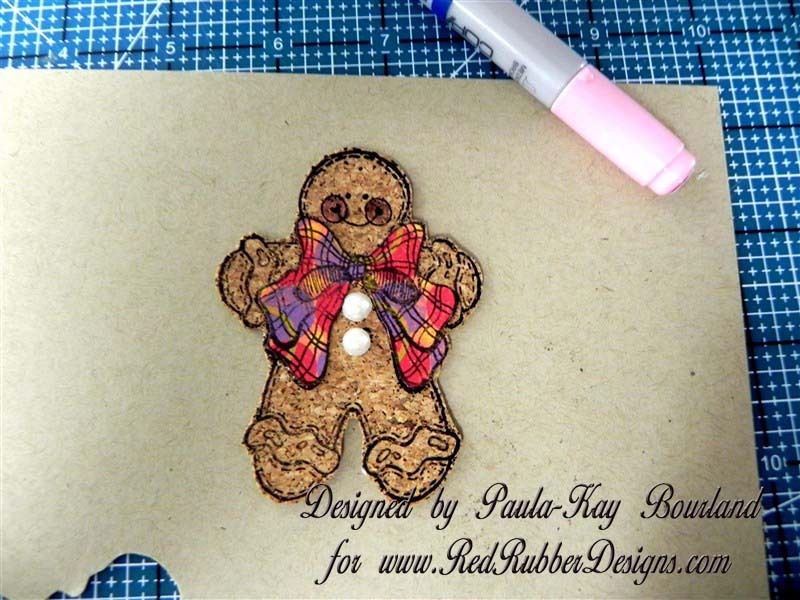 Paula-Kay, this is too cute! You are so creative! Easy to follow instructions, really cute project. Great job, PK! 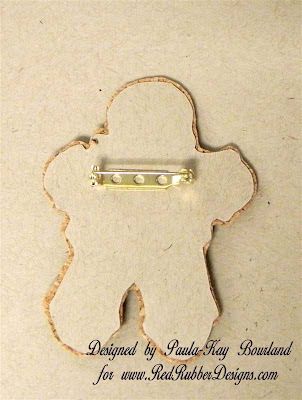 Love this pin for the holidays! Thanks for the tutorial.